Thirteen weeks after being drafted into the U.S. Army in 1943, Paul Zurcher of Monroe was on the front lines of battle in Italy. He was part of the 10th Mountain Division, a machine gun squadron in which Zurcher served as the ammunition bearer. Often, while burrowed in a foxhole during battle, 19-year-old Zurcher wondered about his future. “I didn’t know if I would survive,” he said. This is the beginning of the story I wrote for my book about a great World War II veteran and Christian man. I had the privilege of meeting Mr. Zurcher after hearing about him and his business from many people in my area. One of Mr. Zurcher’s biggest fans is my husband who loved to do business at Zurcher’s Best-One Tire and Auto Care in Monroe, Indiana. 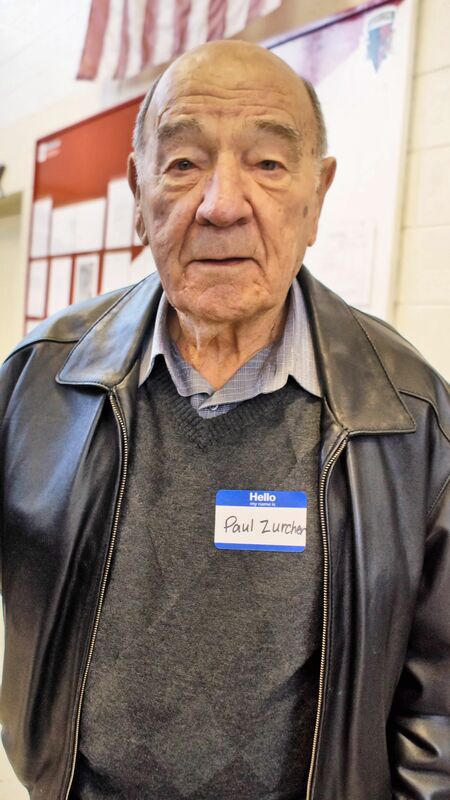 Last year when putting together my stories for my book, World War II Legacies: Stories of Northeast Indiana Veterans, I asked Mr. Zurcher for an interview. He was happy to sit with me in his conference room. Afterward we took a walk around his large tire empire. This 90-year-old trotted around the huge buildings so fast that I had trouble keeping up! He had a great story about growing up poor and learning to value family and a relationship with God more than anything. He developed his tire business after the war and it is well known throughout the world today. I actually interviewed Mr. Zurcher on the day he was awarded a Sagamore of the Wabash from the governor of Indiana! This is the highest award given to a resident. His time in the war was dynamic. 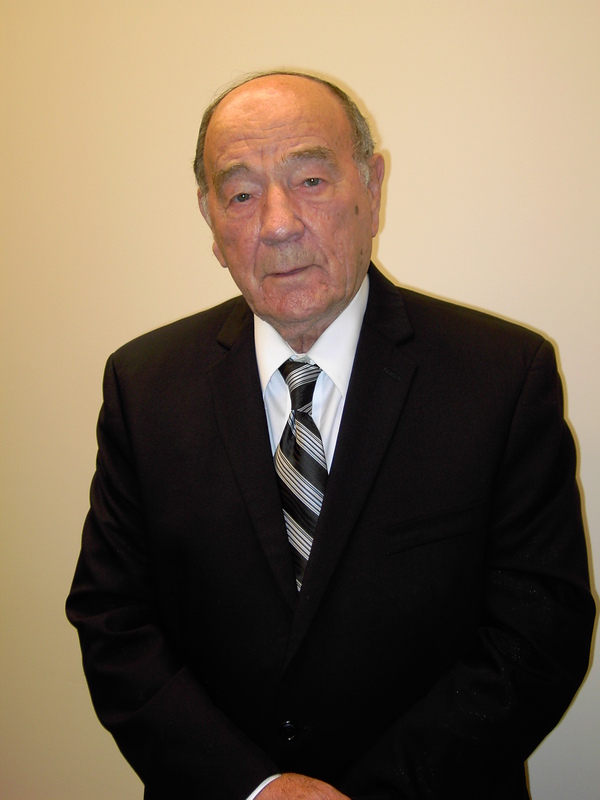 Mr. Zurcher was the first to be part of the Italian invasion with the 10th Mountain Division. He was shot in the chest in combat and survived. 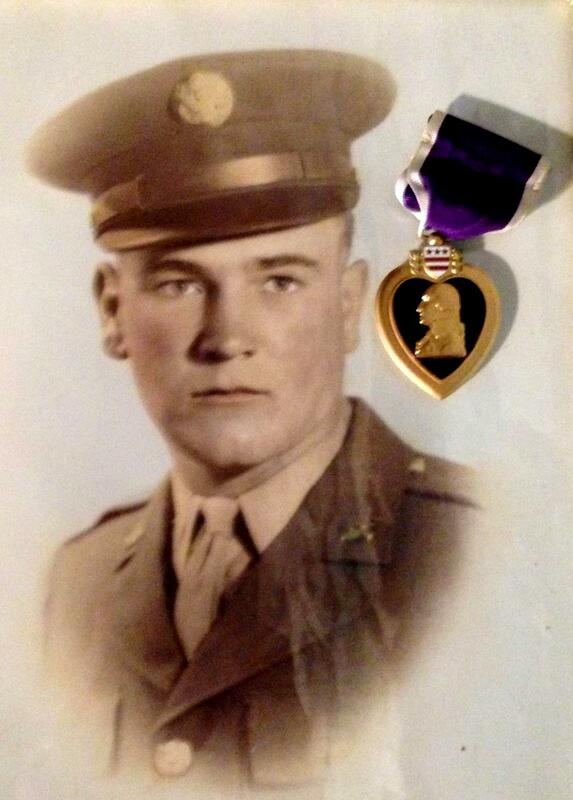 He was later awarded a Purple Heart. He also attended the book launch party I conducted in November 2014 at the Bluffton Armory. It’s amazing to me that after interviewing 80+ World War II vets (my goal is to interview as many as I can! ), I still hear unique stories like this one. You can read the rest of Paul Zurcher’s story and those of 27 other veterans in my book, World War II Legacies: Stories of Northeast Indiana Veterans. Click the ‘Buy Now’ button on my Home page. Mr. Zurcher was signed up to go on an Honor Flight for Northeast Indiana but sadly passed away on May 7, 2015, just days before his flight. It was an honor to get to know Mr. Zurcher from these events. I’m sure his presence is missed. If you know a World War II vet, be sure to tell them thank you. If they live near a group that takes Honor Flight for Northeast Indiana trips, help to arrange their passage on it. Great! Let me know if I can help. Can’t wait to see it! Mr. Zurcher will be remembered. 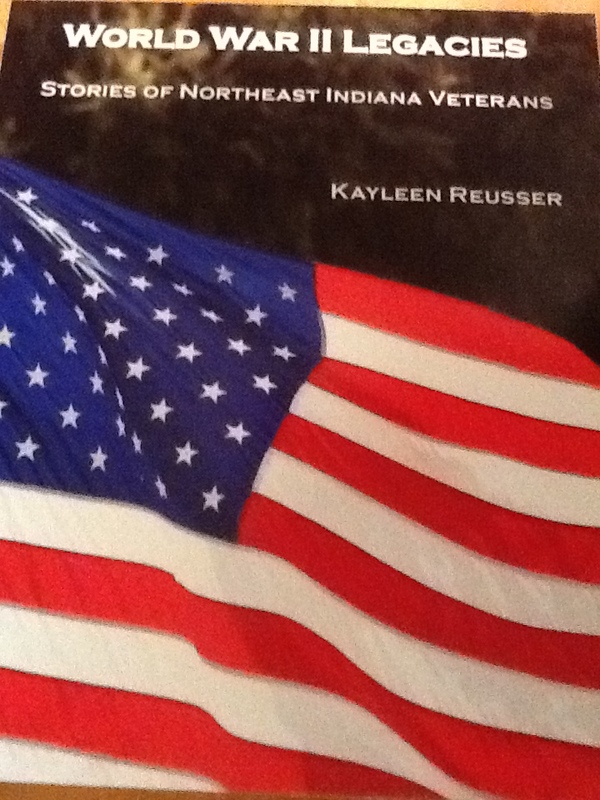 He certainly will as will the other vets from my book that have passed on. I miss them all.